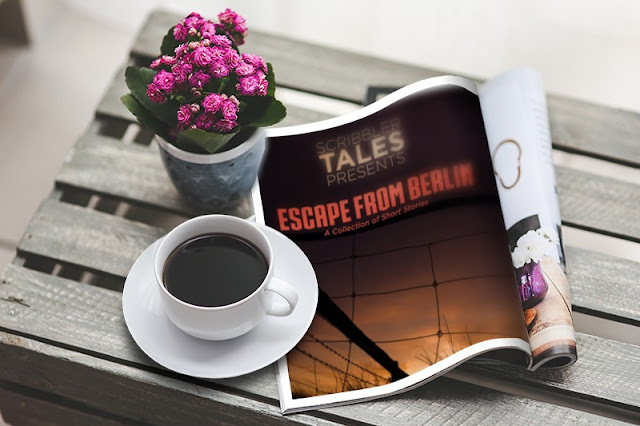 Scribbler Tales Presents: Escape from Berlin --- Featuring Betrayal, Deadly Secrets, Murder in the First, The Ritual. Escape from Berlin Mark Dresdner’s cover is blown, forcing him to flee East Germany, yet he refuses to leave the woman he loves. Finding the border crossing blocked, and the enemy closing in, will he evade capture or be forced to make the ultimate sacrifice? Featuring Betrayal Aelia gives herself completely to the man she loves, revealing a life-threatening secret, trusting her husband unconditionally, but is he deserving of her trust? Deadly Secrets Lysandra seeks a new life in America, hoping to forget her past, but an accidental meeting with a man who knows her true identity endangers her happiness. Murder in the First As judge, jury, and executioner, Bethel decides the fate of the man responsible for her plight, but things go terribly wrong and the predator becomes the prey. The Ritual Devona’s initiation into a modern-day pagan sect on All Hallows’ Eve sends the terrified young woman fleeing for her life amidst a raging storm. Escaping the sacrificial altar, will she survive the tempest? Exclusive Bonus Material Excerpts The Briton and the Dane novels. Another great collection of stories by Mary Ann Bernel that are full of mystery, suspense and explosive drama. Scribbler Tales is a series that stays with you long after you have picked up the books. One treasure after another! In The Ritual there is an intensity to that had me both curious and a bit terrified at the same time. Still, my curiosity had the best of me and I read with great emergency. A captivating story that is both smart and alluring. Wasn’t sure what to expect but it has a great reward. A little fear never hurt anyone! Love the mystique. The group encircled a stone coffin that had been placed in the center of the small building that was being used for an altar that was covered with flaming candles. Incense burned in a bronze offering bowl, the billowing smoke filtering through the air. The assistants kept their heads covered, their black garments blending well in the darkened room, their piercing eyes glaring menacingly at Ashley, or so she thought. Betrayal is another dramatic story that is full of mystery and intrigue. Fun to escape into someone else’s drama for a change. A betrayal is something most of us can relate to. This rings true and I could feel the pain along with the deception. Amidst the pain came denial, how could he? He had loved her, truly loved her, and he would never betray her, unless he had no choice. That was it, it had to be. He was cornered, his enemies threatening torture and death. He had been given a choice, and he chose to live. Why should they both perish? She understood, or did she? Murder in the First, there is corruption and murder, no mystery but there is a lingering question that floats in the air. How can Bethal be so cold? But then, she might not be the worst. There is darkness and then there is murder. Will there be forgiveness? Questions remain. Bethel stepped away quickly as Michael flapped his arms to steady himself while the earth crumbled beneath him. She looked away, closing her eyes and covering her ears as he fell off the cliff and into the sea, the roaring surf obscuring his screams. A salty mist caressed Bethel’s face as she peered at the rocks below through the lifting fog. Minutes seemed like hours as she searched for Michael’s body, which was nowhere to be seen. 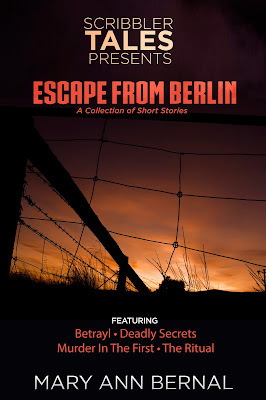 Escape from Berlin is a story where Mark’s cover has been broken and he must meet his fate. He has been betrayed but by whom? A chilling story that makes you look over your shoulder. There are spies but they don’t they don’t belong in this town. Mark wondered whether or not he was being paranoid about these latest developments. Perhaps there was another reason for closing the border, and if that was the case, then there was still a chance that he could get out of the country alive, but he could not leave without knowing what happened to Tatiana. There were many things that could have delayed her, why did he think the worst? He was a spy, that’s why. There was never an innocent explanation when one played this game, and he knew the rules well. There was no such thing as a coincidence, not in his field. Deadly Secrets is another rapturing story that had my heart thumping at a feverish pace. As a reader, this tale blurred me right in. There is no lack of lust and deceit. Not everything is as it seems, but is it ever really? He would do whatever was necessary to keep her from destroying his world; her threats had sealed her fate. His face was contorted by a malevolent grin as his plan took shape. He would play her game for now; in fact, he would enjoy it. 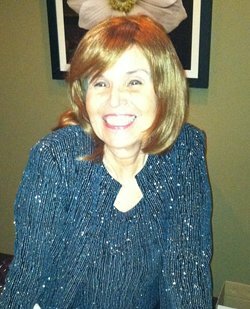 Historical fiction author, Mary Ann Bernal, fell in love with medieval England after reading Sir Walter Scott's Ivanhoe. Then came the great Hollywood epics such as Knights of the Round Table, Prince Valiant, The Black Shield of Falworth and The Vikings, to name a few. Add to the mix Camelot, and an incurable romantic Anglophile was born! 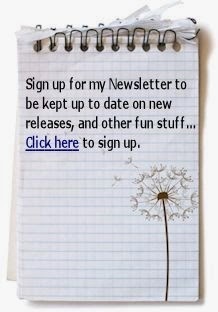 http://www.maryannbernal.com.